The helping professions attract compassionate people who want to make a difference in the lives of others. Some choose careers in nursing or social work, while others focus on psychology or public policy degrees. While these paths are still quite popular, a growing number of students have decided to pursue careers in holistic wellness. For example, massage therapy is drawing in an increasing number of empathetic people who want to devote their lives to helping others achieve healthier lifestyles. As a massage therapist, you can be instrumental in helping your clients recover from traumatic events, both physical and emotional, and you provide support for their overall wellness with every interaction. Whether you work in a day spa or a medical facility, the massages you give serve an important function in your clients’ whole-body health. Massage is a proven treatment for pain relief, and it is one of the top-rated methods of battling stress — and all of the symptoms of an over-stressed lifestyle. For example, stress reduction through massage therapy can lower blood pressure, improve digestion and dramatically reduce episodes of insomnia. Physicians and healthcare providers in other fields are beginning to recognize the value that massage has for patients, and they are referring patients for massage therapy more often than ever before. There are many reasons to choose a career in massage therapy, beginning with the deep fulfillment you will experience as you help others improve their health. However, helping others isn’t the only benefit that comes with your massage therapy practice. Massage therapists can practice in a wide variety of settings, and your work environment is only limited by your imagination. You can choose to give massages in a day spa or massage therapy practice, and you can work for a franchise or own your own business. Some massage therapists welcome clients into their own homes, while others are mobile, taking their talents to their clients’ preferred treatment locations. You can even combine your love of travel and hospitality with your massage therapy career. Many resorts and cruise ships hire massage therapists to care for guests, giving you the opportunity to see the world while you practice your profession. With so many possibilities for employment, you can tailor your career to your specific interests and needs. For example, if you need health insurance, you can choose to work for an employer who provides benefits. If you dream of being a sole proprietor, now is your chance. Massage therapy is a popular choice for those who value flexibility in their work. Depending on the setting you choose, you can often work according to your availability, picking the number of hours and the schedule that best fits your lifestyle. Parents appreciate the benefits of a career that doesn’t conflict with family time, and those who choose massage therapy as a second career can pursue other goals in conjunction with their work in massage. Finally, massage therapy is an appealing career choice, because you can get started right away. You can complete your education in a year or less. Generally, an Associate’s degree is all you need to qualify for licensing, and you can become a part of the health and wellness industry without the massive student loans that come with a medical degree. In 2015, massage therapy was a $12.1 billion industry. This represents significant growth — just 10 years earlier, projections valued the massage therapy industry as low as $6 billion. Estimates indicate that there are between 325,000 to 375,000 massage school students and massage therapists in the United States. For comparison, there are more than one million licensed physicians nationwide. Between 2011 and 2015, employment of alternative/complementary healthcare providers, including massage therapists, grew by 19 percent, and revenues in these professions increased 14 percent. Revenues are projected to continue growing by an average of 3.6 percent each year through 2020. Researchers report that during in 2016, up to 25 percent of Americans had at least one massage. The U.S. Bureau of Labor Statistics (BLS) states that the median salary for massage therapists is $37,180, which means approximately half of all massage therapists earn above this amount. The bottom line is that interest in holistic wellness and full-body health is rising, and today, more people than ever are looking for new ways to nurture their bodies. 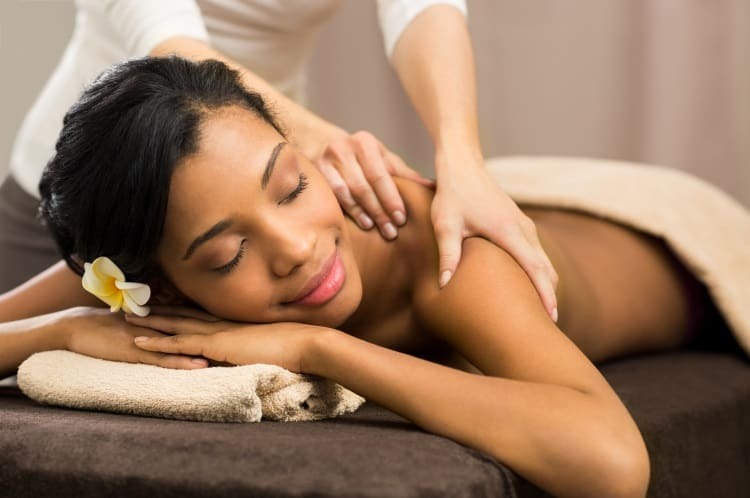 Massage therapists provide a critical service for individuals in every state of health, and they offer relief from a wide variety of physical ailments and health conditions. All indications point to a continuing demand for these services, making careers in massage therapy an excellent choice for long-term success. Learn more about the opportunities available to you by contacting the American Institute of Alternative Medicine today.